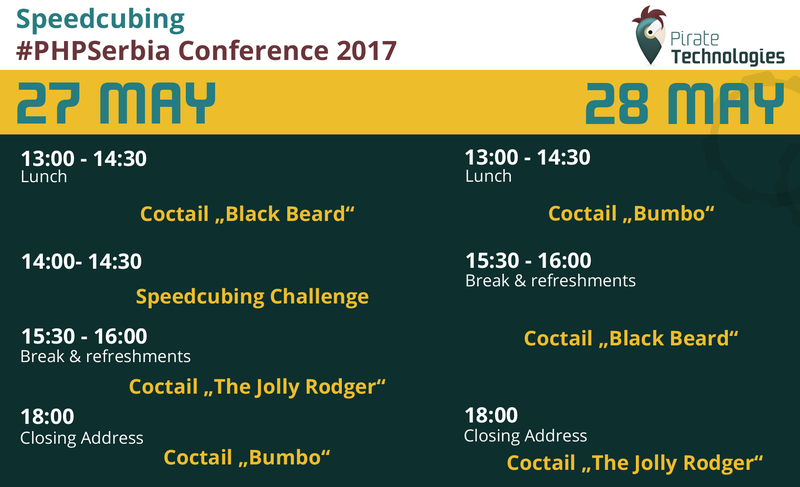 PHPSerbia Conference 2017 - Pirate Technologies - Work like a captain, play like a pirate! Ahoy me harties, and welcome to the PHP Serbia Conference 2017. Pirate Technologies has the pleasure to invite you all to NoOps talk of our Carpenter and Surgeon (a.k.a. Vice President of Technology), Dragan Stefanov. Our seadogs from Berlin shall also come to this great conference, and you can meet them at our beach booth, where they will be hanging out with Black Beard, Bumbo and Jolly Rodger. We are also going to challenge you to beat the world record in Rubik's Speedcubing contest at our bar. Are you ready? Do you dare?All aboard!